We have a module that will send the AC request signal to the E38 ECU and will allow you to run your A/C from the factory ECU. 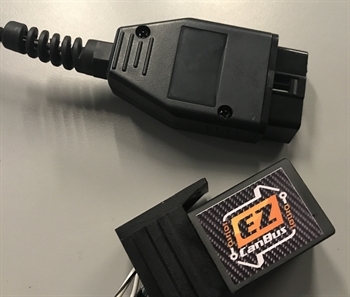 Simply plug into the OBD2 port or hard wire it into your harness and when you apply 12 volts (Positive control) or Ground (Negative control) to the trigger wire it will send the Ac request signal to the GM ECU. Chose from either a module with the OBD2 connector installed or a module with looase flying leads to be hard wired into your harness. We have tested this with the truck and camaro calibration. If your AC unit outputs 12 volts when turned on you will need a postitive control box. If your AC unit grounds the output you will need a negative control box.